The Midland Collie Club was founded in 1924 and the club was licensed to organise Sanction shows in the 1920s and 1930s, when Mr E Davis and Mr E Allsop (Merrionn) undertook secretarial duties. 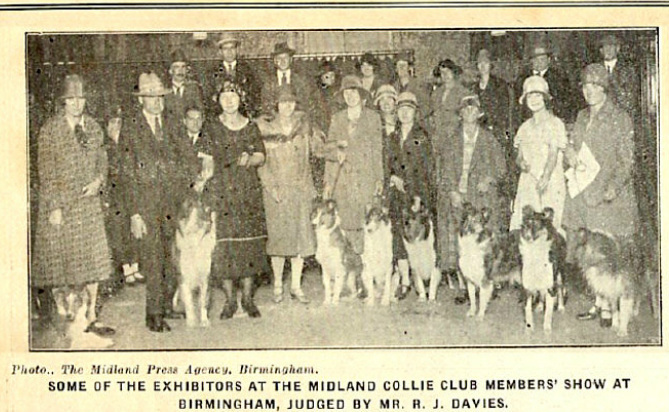 As more people became interested in Collies, entries escalated, and when Mr Jeffries (Jefsfire) took over Secretarial duties, Midland Collie Club started to expand, scheduling 'Open' and 'Limit' shows. Midland Collie Club covers an area well served with General championship Shows, and the club waited a long time before it attained Championship Show status, which it finally achieved in 1977. The Club has been fortunate to always attract good entries at its shows. In 1991 the Kennel Club moved Cruft’s to the National Exhibition Centre, just outside Birmingham, and in 1994 introduced Discover Dogs. 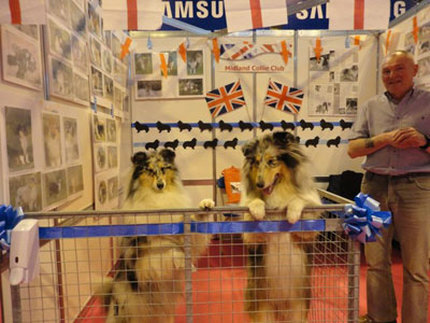 This has always been supported by the Midland Collie Club Committee and club members, who take along their Collies to promote the breed to members of the public.